Our reputation and ranking as one of the world’s top universities has been acknowledged by many leading college guides, industry, and internationally respected publications. 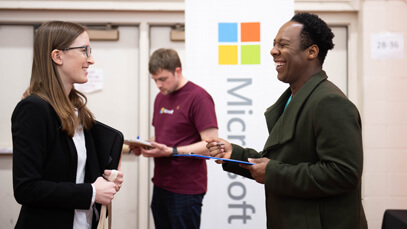 You’ll find unique academic programs focused on industry needs, applied research, and real world experiences designed to prepare you for career success. 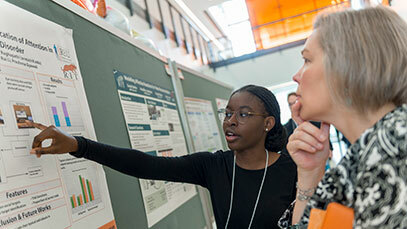 International students live and learn in RIT’s welcoming, safe, residential campus community. 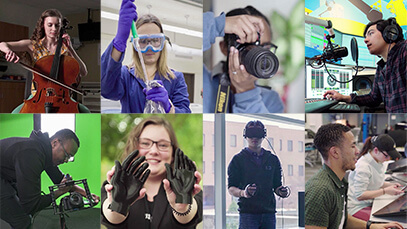 At RIT you’ll live and study with students from 100 countries. You should apply as an international student if you are a citizen of a foreign country and are not a US Citizen or Permanent Resident. The admission process, requirements, and guidelines are the same for all undergraduate students. 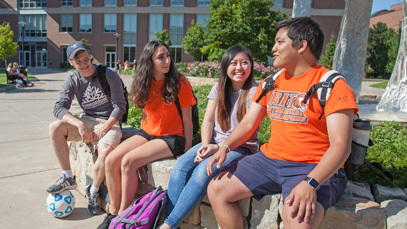 As an international student you will also be required to demonstrate English language proficiency, and RIT will consider students at all levels of English language proficiency for admission. Full university admission: If you meet English language proficiency standards, you will be considered for admission to the academic degree program you choose. Conditional university admission: If you do not meet English language proficiency standards you will be considered for admission, and will need to complete additional courses through RIT’s English Language Center in addition to their academic degree program. Graduate applicants must demonstrate English Language proficiency and requirements vary by program. You should Apply for English Language study if you want to study English language courses only, and don’t want to apply for a degree program at this time. RIT’s English Language Center is on-campus, and students are fully integrated into life at RIT. Send originals or certified copies of all academic documents (transcripts, mark sheets, degree certificates, diplomas, examination results such as the SAT, ACT, TOEFL, PTE Academic, IELTS. Applicants who have already enrolled in a college/university/polytechnic are considered transfer applicants and must send official transcripts or mark sheets from all post-secondary institutions attended, including "A" and “AS” level results if applicable. Those who have completed less than one year of full-time university study must also submit official secondary school results. Descriptions of courses taken as found in the university catalogue must be sent (in English) to be considered for transfer credit. Send a declaration of financial support - a letter from your sponsor indicating the actual amount available for your support in US dollars (or equivalent) per year AND an original bank document showing exact dollar amounts available for your first year of study. The U.S. dollar amount for applicants for the fall 2019 semester should total $65,000. Please refer to the cost of attendance for RIT undergraduate students. Applicants to programs in Art, Design or Film & Animation must submit a portfolio. Transfer applicants to Photography programs who wish to receive transfer credit for photography courses must also submit examples of their work through a portfolio. Click here to learn more about Portfolio guidelines. Note: Please provide all educational records and admission materials to the Office of Graduate Enrollment Services no later than 10 weeks before your desired entrance date to allow appropriate processing time for your application. If you currently hold an F-2 Visa, please note the following: Applicants for a change of status from F-2 to F-1 may not attend RIT until their change of status is approved by USCIS. You will find change of status information on the International Student Services website. RIT's ISS staff will assist you in applying for a change of status. Please contact the ISS office at 475-6943 as soon as possible to begin the process of changing your visa status. You have passed in the 1st Class (or equivalent). If you do not meet the above requirements, you may request a WES evaluation or you would need to complete (or be in the process of) postgraduate study. If your 3-year undergraduate degree is currently in progress, you may be admitted contingent upon obtaining your degree in the 1stclass or equivalent. Digital Copy - Some institutions allow you to request a digital copy. 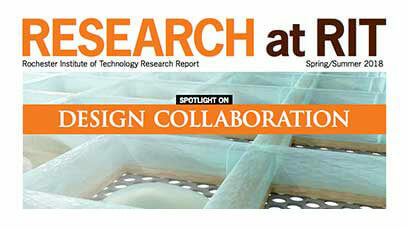 You can request a PDF official copy be emailed to gradinfo@rit.edu. In-Person - You may present them in-person in their original, sealed envelope. Personal statement of educational objectives - Please upload a personal statement describing your educational objectives. You may wish to address: (1) why you are applying for the program, (2) how your degree program will relate to your long-range career objectives, (3) what personal or “non-academic” qualities you will contribute to the learning environment in your program, (4) what prior experience you have with respect to your chosen program, and (5) specifically why you want to attend RIT. Resume or Curriculum Vitae - Upload a resume or curriculum vitae to your online application. Your resume or curriculum vitae should include details about your education, employment, and internship history. Pertinent research experience should be included as well. 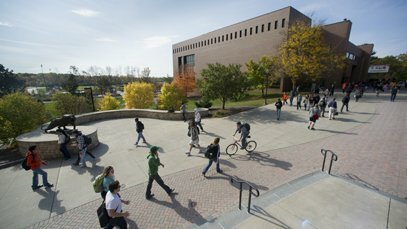 Letters of Recommendation - Two or more letters of recommendation are required for admission to all RIT graduate programs except those offered by the College of Business. Recommendations should come from members of the academic community and/or workplace professionals who know your qualifications for graduate study. The preferred method for the submission of recommendation letters is to use the functionality within the online application. Recommendation letters should be submitted directly to RIT from the referee/person writing the letter for you. You will be able to enter information for your recommenders and submit an email request for letters through the online application. If your recommenders are unable to submit their letters using the above method, then letters may be emailed directly by recommenders to gradinfo@rit.edu or sent by postal mail to the Office of Graduate Enrollment Services. Graduate Admission Tests (if required by your program) - Applicants may also be required to submit scores from graduate admission tests. Check the Programs Offered page to determine which admission test, if any, is required by the program to which you seek admission. The official results of graduate admission tests are the only parts of your application that you do not mail or upload to RIT. Instead, you must arrange for the testing agency to send your test results directly to RIT’s Office of Graduate Enrollment Services. RIT’s code for ETS reporting is 2760. Please do not include a department code. NOTE: Please be sure to use the same name and same spelling of your name on all forms, records and correspondence. You’ll have the opportunity to gain valuable experience through cooperative education , internships, projects, and research. Many of our international students are enrolled in STEM programs, and take advantage of the US government opportunity to extend their work experience after graduation (OPT). International students have completed more than 3888 paid co-op work assignments over the past three years – 88% of those in the U.S. in 42 different states. Over the last three years, 3508 employer partners hired international students in co-op positions, and 383 companies hired RIT international student graduates from RIT from the Class of 2017. RIT has been recognized for its value and affordability, including The Fiske Guide to Colleges, Kiplinger Magazine, and Princeton Review. In the 2018 U.S. News & World Report “Best Value Schools” list, RIT ranked #41 among national universities. There are many ways to help finance your RIT education, including scholarships, assistantships, and payment plans, as well as the option to work on-campus. Last year, 1904 international students received $26 million in scholarship and Financial Aid support from RIT. Highly qualified freshman and transfer applicants are awarded partial tuition scholarships at the time of admission. To be considered, complete the application for admission. Freshman and Transfer students may apply for need-based assistance. To apply, you must complete the College Board International Student Financial Aid Application (ISFAA) and submit to RIT. Assistantship awards are made by the academic department at the time you apply for admission, are based on academic excellence, and vary by student and department. To be considered, complete the graduate application for admission. Students who are studying full-time may apply to work part-time on campus through RIT Student Employment. 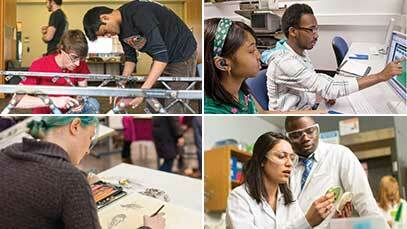 RIT has more than 9,000 campus jobs available each year, and students work 10 – 20 hours per week. Many international students gain valuable work experience, and help finance their education through cooperative education (coop) —paid work assignments with corporations and organizations around the U.S. and abroad. Coop typically begins after at least 9 months of full-time study, and allows students to spend one or more semester employed in a full-time, paid position related to their academic program. Tuition is not charged while students are employed and not attending classes, and many student use coop earnings to help finance their education. Our diverse community of students, faculty, and staff will welcome you to campus and provide you with the resources and support you’ll need to succeed - from the time you apply for admission through to graduation and beyond. International Student Services will help you to adjust to culture and life in the US, provide immigration advising and support, welcome you with a new student orientation, and plan events, trips, and activities to help you make the most of your time in the US. 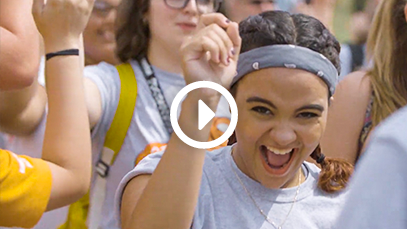 RIT's safe, residential campus community is alive with energy and excitement—24/7! More than 7,000 students live in RIT housing on campus, and we offer a wide variety of housing options to meet most needs and budgets. Dining options on campus are diverse, plentiful and accommodate many different ethnic, religious, and dietary requirements. Upper class and graduate students who choose to live off campus find a wide variety of options in the Rochester community. 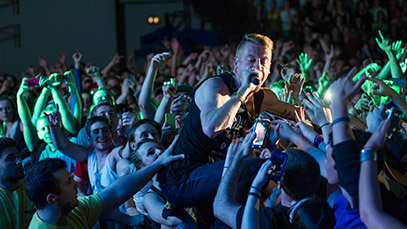 You’ll join an active campus community, with 300 clubs and student organizations, athletic teams, recreational facilities, an fitness classes, festivals, concerts, performances, movies, and comedy nights featuring popular artists and celebrities. In addition to the campus in Rochester NY, RIT offers overseas learning opportunities at our campuses in international locations in China, Croatia, Dubai, and Kosovo. 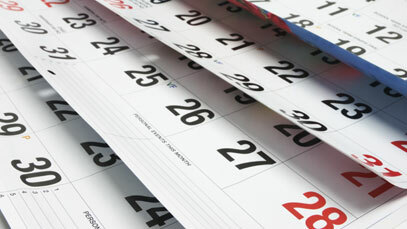 Special programming options are often offered during the summer or intersession terms. RIT Dubai was established in 2008 to provide world-class university programs in the United Arab Emirates for students and professionals from the Middle East, North America, Africa, and South East Asia. The campus is strategically located in the heart of Dubai Silicon Oasis, one of the world’s leading centers of advanced electronic innovation and design. RIT Dubai offers 10 undergraduate and six graduate programs. RIT Croatia features campuses in both the small coastal city of Dubrovnik as well as the capital city of Zagreb. The Dubrovnik campus is located just a few steps from the main entrance to Old Town, a historic section of Dubrovnik. Undergraduate programs in web and mobile computing and international hospitality and service management, as well as several minors and immersions, are offered. Zagreb is a bustling Central European-style city with classic and modern architecture, winding cobblestone streets, and old city neighborhoods. The Zagreb campus of RIT Croatia is located in Bundek Center, a brand new facility that includes apartment housing, restaurants, a fitness center, and coffee shops. Undergraduate programs in web and mobile computing and international hospitality and service management, as well as several minors and immersions, are offered. RIT Kosovo offers a dynamic educational environment with a range of course offerings: liberal arts, information sciences, media, entrepreneurship, and management. RIT Kosovo, located just outside of downtown Pristina, near the beautiful Germia National Park, attracts students from more than 20 different countries. RIT’s Saunders College of Business and the Beijing Jiaotong University (BJTU) School of Economics and Management began its strategic international partnership in 2012. As the inaugural international partner at the Weihai campus, RIT and BJTU offer a joint Bachelor of Science degree in management information systems.